The most challenged book of 2017 was Jay Asher’s Thirteen Reasons Why, a novel that has been a valuable tool in igniting conversations about suicide, bullying, and consent. The depiction of suicide was the primary reason for 2017 challenges. The book was also on the top ten list in 2012 for drug and alcohol use, sexual content, suicide, and being unsuited for age group. Thirteen Reasons Why was released in 2007. The novel is a first person narrative told from the perspective of Clay, a high school boy who receives 13 tapes that fellow student Hannah Baker leaves behind after her suicide. Each tape is about a person who had some role in her suicide. The young adult novel was a New York Times bestseller for a combined 228 weeks, and it won a California Book Award Silver Medal (2008) and the South Carolina Young Adult Book Award (2010). YALSA named it a Best Book for Young Adults. On March 31, 2017, Netflix released a 13-episode series based on the novel. Notably, the series deviated from the source material in several significant ways. The depiction of Hannah’s suicide was changed and much more graphic, as was the depiction of drug and alcohol use. 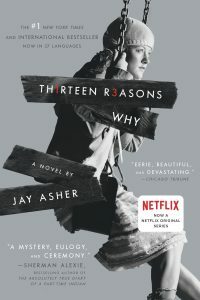 Many of the 2017 challenges to Thirteen Reasons Why were tied to the popularity of the Netflix series. The show debuted in late March, and shortly thereafter, several school districts around the country tried to ban the book. After a series of suicides on Colorado, the curriculum director of the Mesa Country School District pulled the book from circulation without following due process. It was returned after a review committee of librarians and counselors determined that the book wasn’t as graphic as the Netflix series. An elementary school in Florida banned the book from campus, even for personal reading, arguing that students weren’t mature enough to handle the depiction of suicide, profanity, sexual content, and drug use. The book was also pulled from middle school classrooms in Anderson County, Kentucky. Several school districts also cautioned parents against letting their children view the Netflix series. Earlier this year, allegations of sexual misconduct were leveled against Asher. The allegations were not a factor in challenges in 2017 and previous years. 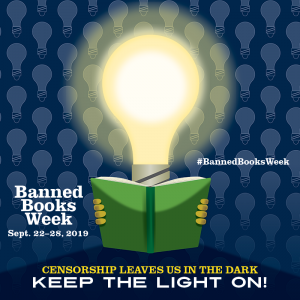 Jamie LaRue, director of ALA’s Office for Intellectual Freedom, addresses the controversy with Publishers Weekly.